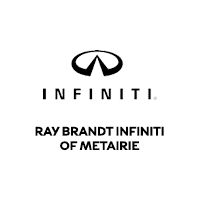 Ray Brandt INFINITI of Metairie offers multiple service and parts specials to customers in Louisiana. We are proud to employ INFINITI technicians who are highly trained and certified, ensuring quality maintenance for your luxury vehicle. Our experts strive to remain current and up-to-date on INFINITI technology and improvements so that we can supply our customers with the best service possible. We provide special offers to help make the maintenance of your INFINITI more affordable. We know drivers around the New Orleans and Metairie area are always looking for a great deal on the routine maintenance their vehicle needs. That’s why we always offer great deals and service specials to save our customers more money. Be sure to contact us for current service and parts offers before your next visit. If your vehicle requires maintenance or repair, trust Ray Brandt INFINITI of Metairie to get the job done. Browse our service specials below to find the right deal for you! Feel free to contact us to schedule a service appointment today. We are more than happy to help, and look forward to providing you with quality automotive service at a great price. Seasons change. So do weather and road conditions. Make a difference in your drive with new tires designed to enhance your INFINITI’s performance and safety. Valid only at Ray Brandt INFINITI of Metairie. Plus tax and hazardous waste fees. Please present coupon at time of write-up. Not valid with any other offers or special. Not retroactive. See dealer for details. INFINITI models only. Expires 04/30/2019.